Mallotus albus (Roxb. ex Jack) Müll.Arg. E. Asia - China, India, through southeast Asia to Papua New Guinea and Australia. 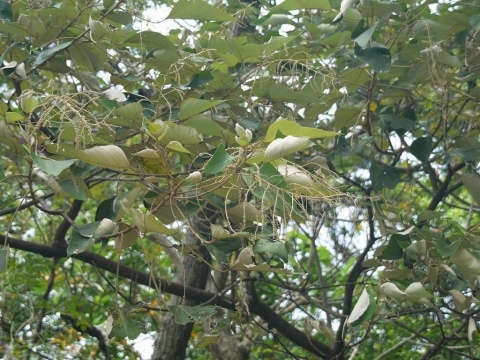 A plant mainly of mainly lowland areas in the tropics, where it can be found at elevations up to 1,800 metres. ]. Usually, both male and female forms need to be grown if seed is required.